HYDERABAD : The Indian agrochemicals industry is witnessing a decline in sales of fungicides this season as the climate is causing lower fungal activity. While North India is already suffering a major impact on agrochemicals business, the South, which has received relatively lower rainfall, is expected to follow suit. Firms such as NACL Inds, Crystal Crop Protection and Insecticides India, among others, have seen a 10-15% drop in sales and are accordingly lowering production. Also, experts anticipate that this year may not result in a healthy addition to industry’s growth, given the headwinds. Fungicides are the second most widely used agrochemical in India with an 18 per cent market share, while insecticides lead with 60 per cent share, said K Ravichandran, senior vice-president, ICRA Ratings, followed by herbicides and others with 16 per cent and 6 per cent share, respectively. A similar situation was seen last rabi season when sales of insecticides were down by 10 per cent, owing to low temperatures and higher humidity that made crops resistant to pest attacks. Ravichandran of ICRA said that because of these headwinds, coupled with lower reservoir levels, the agrochem industry is expected to see flat growth this year. “While we were expecting the growth to touch 7-8 per cent, it will in all probability end at 5 per cent, at last year’s level,” he said, adding this will propel more companies to focus on exports to tide over a volatile domestic market. Overall cumulative rainfall at all-India level was down 5 per cent compared to normal as on Septem ber 20, according to brokerage Antique. Also, with lower water reservoir levels in South India, subdued demand was expected for agrochemicals. “Water storage level in the south is critically low at the moment (down 24 per cent vs. normal). In South, water storage level in states such as AP, Telangana, TN, Karnataka and Kerala were down by 38 per cent, 8 per cent, 26 per cent, 19 per cent and 9 per cent vs normal, respectively,” said Antique in its latest report. Hence, companies are looking to either reduce production or shift supplies “We have reduced our production by around 3-7% looking at the subdued demand,” said CS Shukla, vice-president, marketing, Crystal Crop Protection. Also, several companies like Insecticides India are pulling out supplies from regions of low demand and pushing in regions of demand or storing it for rabi season, apart from rationalising production. 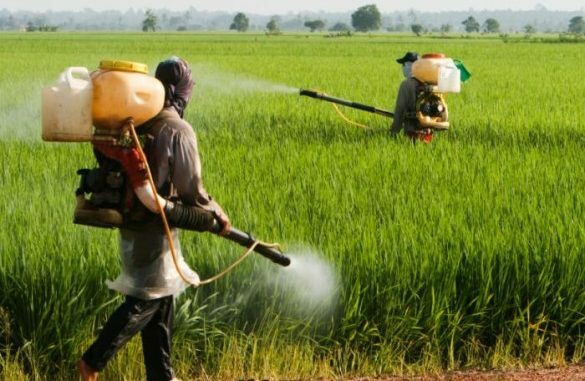 India is the fourth largest global producer of agrochemicals after the US, Japan and China, and is expected to reach an estimated value of $6.3 billion by fiscal 2020, said a report by Tata Strategic Management Group and Federation of Indian Chambers of Commerce & Industry (FICCI).